Last Thursday, 5th of February, the McGill Economics Students’ Association hosted the Hon. John McCallum at the Faculty Club for a talk on the Canadian current economic situation. 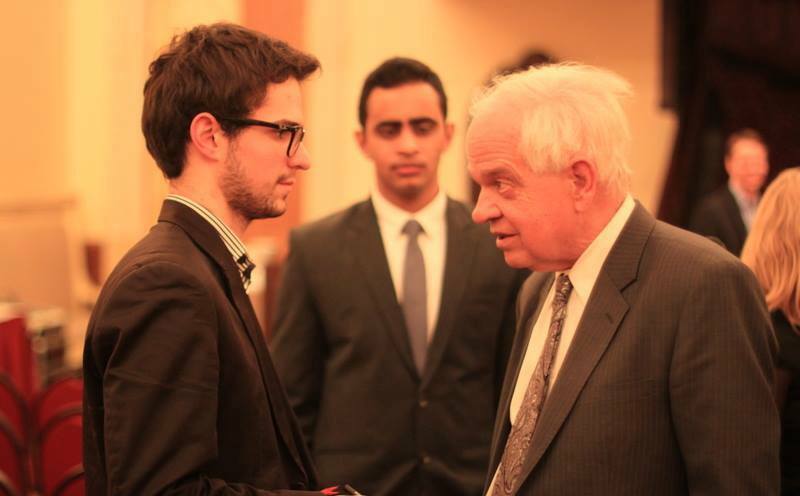 A well-known economist and politician, McCallum is not new to this university. He worked as an economics professor at McGill from 1987 to 1994, also serving as the Dean of the Faculty of Arts towards the end of his career here. He was chief economist of the Royal Bank of Canada between 1994 and 2000,and has held the following positions during his long career as a Liberal politician: Minister of National Defence (2002-2003), Minister of Veteran Affairs (2003-2004), and Minister of National Revenue (2004-2006). Currently, he serves as the Member of Parliament (MP) for the Markham-Unionville electoral district, Ontario. McCallum set the tone of his speech at the beginning: “Politics is getting a little bit dirty these days!” After comparing the specific attitudes required by the three roles he held in his life (namely academic, economist, and politician), McCallum went on discussing two key elements of the Canadian economy: immigration and trade. 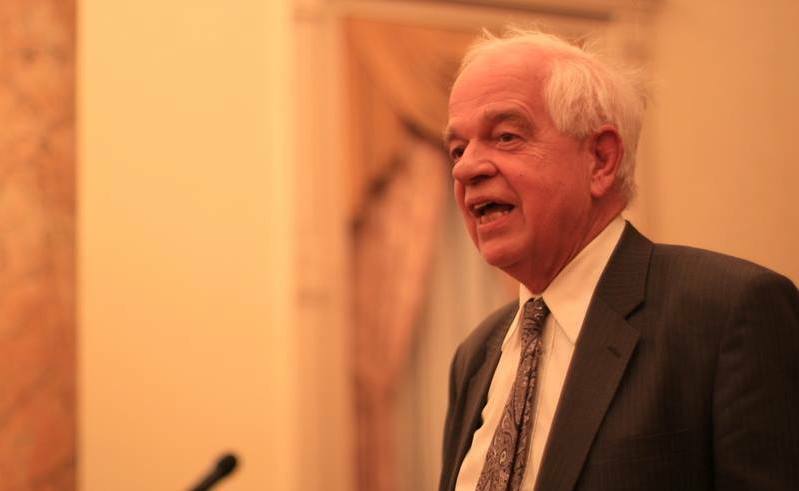 McCallum holds the issue of immigration close to his heart. Not only is he the Liberal Critic for Citizenship & Immigration, Multiculturalism and Seniors, but he also represents a highly multicultural constituency (40% of the population is ethnically Chinese). For McCallum, immigration is the “comparative advantage” of the Canadian economy. So he expressed concerns that the Conservative government is increasingly making immigration difficult for those who do not have job offers in the Canadian economy. McCallum warned that as a nation with an aging demographic, Canada risks facing the same problems that countries like Japan are currently struggling with should we continue to impose conservative immigration policies. “We should build an immigration system that welcomes people with a smile and gets rid off entry barriers,” he stated. He poignantly reminded all of us that Canada was, after all, a country that owes its birth to immigration. With regards to trade, McCallum suggested that it was in Canada’s interest to develop trade relations with the Asian continent. He argued that there has been much growth in Asian economies in recent years while the economies of the Western world has slowed down considerably. He also cautioned that the Canadian economy is too dependent on the American market. To compensate, McCallum proposed a diversification of the economy which can be easily facilitated by Canada’s multicultural population. However, McCallum also noted that economic diversification must happen in addition to maintaining current trade relations, and should not come at the price of reducing or stopping exchanges with the United States. McCallum ended his talk with an explanation of the Gravity Model he used in his 1995 influential paper titled “National Borders Matter: Canada-US Regional Trade Patterns.” According to this model, trade between two nations depends on two variables: size and distance. As an example, he applied the Gravity Model to the trade relations between Quebec-British Colombia and Quebec-California. The distances that separate Quebec from British Columbia (BC) and California are roughly the same. Yet, the Californian economy is 10 times bigger than that of BC. The Gravity Model thus concludes that Quebec should trade 10 times more with California than BC. However, the trade volume between the two Canadian provinces in the 1990s was on average 20 times bigger than the exchanges between Quebec and California. The model thus fails to explain this pattern, and McCallum argued that the cause behind this is the fact that a country is more intimate in its interactions within its borders than across them. Even though free trade technically exists between Canada and the United States, the persistence of small imperfections and flexible exchange rates between the two countries leaves room for uncertainty. After the talk, the MIR had an opportunity to have an exclusive interview with Hon. McCallum. The first question focused on his time as Minister of National Defence. In 2002, McCallum called for and then managed to obtain the largest increase in defence budget witnessed by Canada over the previous decade. When asked why he proposed such a drastic increase in the budget, he answered that for 10 years (1992-2002), the federal government had made major cuts in the defence budget in order to fight off the recession that was plaguing the Canadian economy at the time. Thus his proposed increase was a sort of return to the normal level. The second question dealt with the economic slowdown that the Canadian economy is currently coping with. McCallum answered that the main cause of the slow growth is the weak demands of the domestic market, combined with the global recession. Finally, he condemned the recent increase in tariffs imposed by the Conservatives. “Even though it is not the main problem, it nonetheless risks to aggravate the situation.” Ahead of the next federal election, this economic policy might very well backfire on the Conservatives. The Liberals’ economic promises could on the other hand boost their popularity. “I believe that Justin Trudeau is up for the job,” concluded McCallum.